Hello again blog… we really have to stop doing this as I should be updating you regularly. I mean, what’s the point of paying for a fancy domain name if we’re not going to do anything with you? So I’m back after a long hiatus, the last post before which I wrote a lot about Margaret Thatcher. What’s happened since then? Not much really… got on with work, got on with life – the usual. That said, I’m beginning to think about how I can renovate this place to become my online home, which I intended to in the first place. Stick a few links to my github up, to Twitter and all that… and we’re laughing. But having just renewed my domain with WordPress I’m not entirely sure if I can point to something else or hack my WordPress layout to look a bit more like what I’m imagining right now. One thing I have been doing during the hiatus is a lot of coding. Some projects haven’t seen the light of day, others such as my attempts at making a 3D engine have been posted up, along with an old pong game I made ages ago and recently rescued from oblivion. Might as well have it up on github, as a) I’ve lost one or two Linux installations in my time (don’t set Clang as your default compiler on Linux… nVidia drivers hate it!) and b) well, eventually I hope to have built up a decent portfolio of stuff. I’ve also learned a lot about the different frameworks that you can use on Linux, and I’ve found that SDL 2 is all-encompassing, but complicated and not necessarily what you want just for a few demos, GLUT is getting on a bit, and GLFW… GLFW seems to tick all the boxes. However, even using GLFW has its problems on Ubuntu – namely that the packaging of many libraries is not that quick, and in particular GLFW is stuck back in version 2.x when the rest of the GLFW community is on GLFW 3. This could be a problem, although thanks to the magic of Linux you can get it working and keep up to date… well, in theory. Although it’s gotten a lot easier you still can be in for a world of pain if the dependencies aren’t there and the compiler shouts at you. 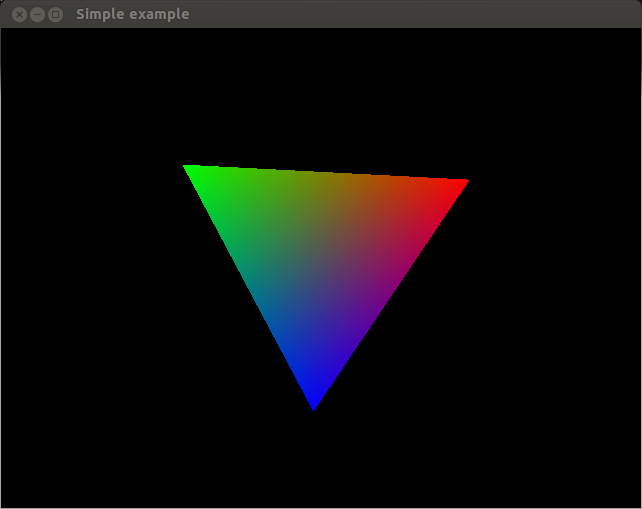 I got shouted at to start with, but then I learned to stop worrying and love the CMake file and -hey presto- it worked! However, even compiling the test after the damn thing is installed is somewhat complicated, and so I’m writing a blog post so I don’t forget if I ever need to do it again, and that others don’t have to put up with the Googling needed once they find this (hopefully). Also I’m thinking that probably this will work for most Linuxes with minor modification. After git has cloned it, cd into the glfw directory. Now here’s where a bit of personal preference comes in… I prefer doing out-of-source builds with CMake as I’ve found when I’ve just typed “cmake” in a directory things get cluttered. So do whatever works for you here, but I usually create the build directory as it’s easy to burn if the whole thing messes up. and if you built shared (which I found caused me no end of annoying problems… might want to fix that and put it back) just omit the --static. And if you’re seeing this: congratualtions! You’ve successfully compiled and linked GLFW 3! Although you might want to use CMake or at the very least a makefile in future to keep track of all those libraries! Man, you saved my time.Thank you very much and kudos from Russia!